Right on, Kathe. Thanks for opening the discussion on my tribute to World Tourism Day. Belgium has such a wonderfully warm culture. Could it be all the beer & chocolate that is consumed? Thanks again for accompanying me on the maiden voyage of Chocolatour, and for setting me off on the right foot in my global exploration of chocolate. 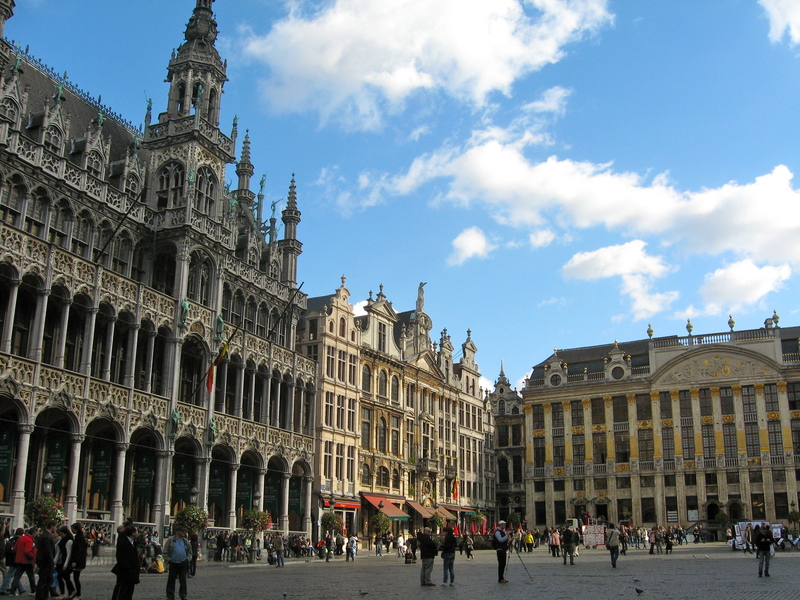 I love Belgium for the fantastic architecture in Brussels and Bruges, and for the scrumptious food. We never had a bad meal in Belgium. Agreed, Terri. We never had a bad meal there, either. Although as a wine lover, I found the selections of wine not to be the best. I guess everyone drinks beer! And has scrumptious desserts with fabulous coffee. And yes, the architecture is indeed lovely. We never made it to Bruges, but believe me … when I make it back to Belgium, it will at the top of my list! Thanks, Esther. It’s always great to hear from you. Hopefully … you and John will soon make a journey overseas and you will see some of these wonderful places firsthand. Then you can do some Chocolatouring of your own! If you can wait until 2012, the book will be out to guide you. As I just told my fans on facebook when I posted the link to your article, I am leaving right now for Belgium…chocolate and architecture…it doesn’t get better!! Thx for the wonderful post and brilliant photo I might add! Thanks, Jeff. Belgium really is one of those countries that doesn’t blow its own horn. But it’s well worth a visit. In fact … I enjoy the cultural diversity of every European nation. And with Belgium, the people are really friendly and helpful, making it a wonderful experience regardless of the focus of your visit. Strawberry puree and champagne spritzer served in a chocolate-rimmed glass..Id love to hear what youd have made! My favorite chefs were Tre and the girl cant think of her name now who was one of the finalist from the season when Hung won..Chocolate outlets at Brussels airport. .. 24.99…Ethel Davies La Cure Gourmand Sweet Biscuit and Chocolate Shop Brussels Belgium Europe – Photographic Print……. A couple of years ago I spent a day in Bruges – I think we bought some speciality Belgian chocolate to bring home as presents and then ate it all that night in our cottage in France! Thanks for reminding me. If you shop at ALDI there are some great florentines this year! Yes, buying chocolate abroad and actually getting it home is indeed a challenge! I always make sure I buy an extra large amount because invariably, what was meant as a gift for someone else will become a gift for ME! It happened to me just this month, when we came home from Fargo, ND with some amazing chocolate I had bought for our neighbour. Alas, we didn’t see him for a few days, and before I knew it … half of the bag was gone. I deeply apologized to him and assured him that I would bring him some chocolates from our upcoming trip to Missouri.